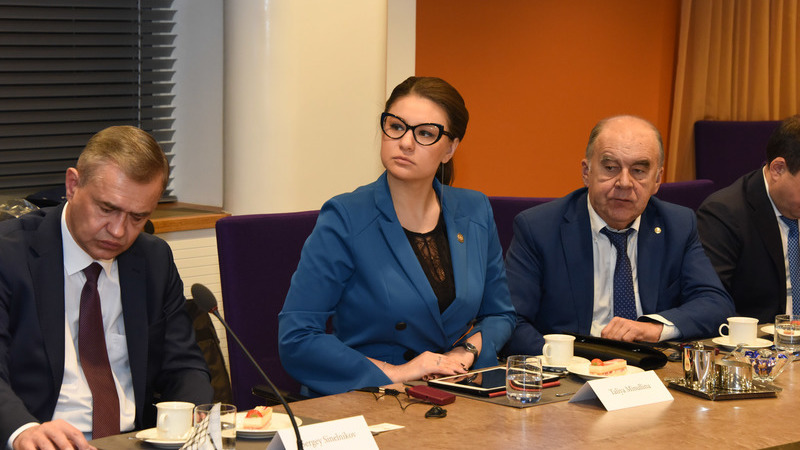 On December 3, Taliya Minullina spoke at the meeting of the Tatarstan-Finland working group on development of trade, economic, scientific and technical cooperation. In particular, the prospect of creating new high-tech industries was discussed at the round table. Also, the Head of the Agency met with the representatives of the Finnish business community to create new joint projects on the territory of Tatarstan. "Finland is one of the strategically important partners of Russia and Tatarstan. 900 Finnish companies are already operating in Russia. Tatarstan also has examples of successful Finnish investments. In 2015, "Huhtamaki" company opened the second plant in Russia on the territory of SEZ "Alabuga" for the production of disposable tableware and paper packaging. YIT builds houses and facilities of high quality in Tatarstan using the latest technologies. Relations between Tatarstan and Finland are very dynamic. Only in October, the capital of Tatarstan hosted Business Forum "Finnish business goes Kazan" with the participation of the Russian and Finnish companies, and already today in the frames of the return visit to Helsinki we develop and multiply the agreements reached in Kazan to strengthen business relations and achieve new joint results", - Taliya Minullina noted. On December 4, in the framework of the round-table "Tatarstan - Finland", the first persons of Tatarstan met with the representatives of Finnish business community to strengthen trade and economic ties.